4lb brownie caught from a float tube about one metre from lake edge in about one foot of water..Lake Otamangakau (called the big O as the name is hard to pronounce), about 35 km south west of Lake Taupo, which is in the middle of the North Island, New Zealand. Most of this man-made lake is about 2-5 metres deep and is known for trophy brownies...but hard to catch!. Nearby accommodation about NZ$30 per night - like back packers. 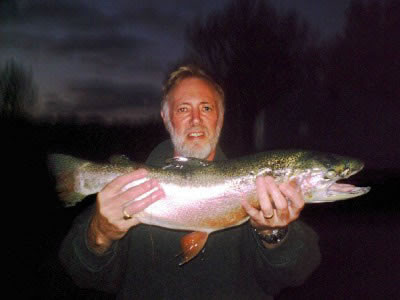 5lb rainbow at the Mohaka River and this river can be found from the road Napier on the north east cost to Taupo (called Napier to Taupo Highway) around the middle of the North Island, New Zealand. (nearby accommodation in shearer's quarters about NZ$25 per night)....in summer able to drive down to river's edge.4WD track over farmland. 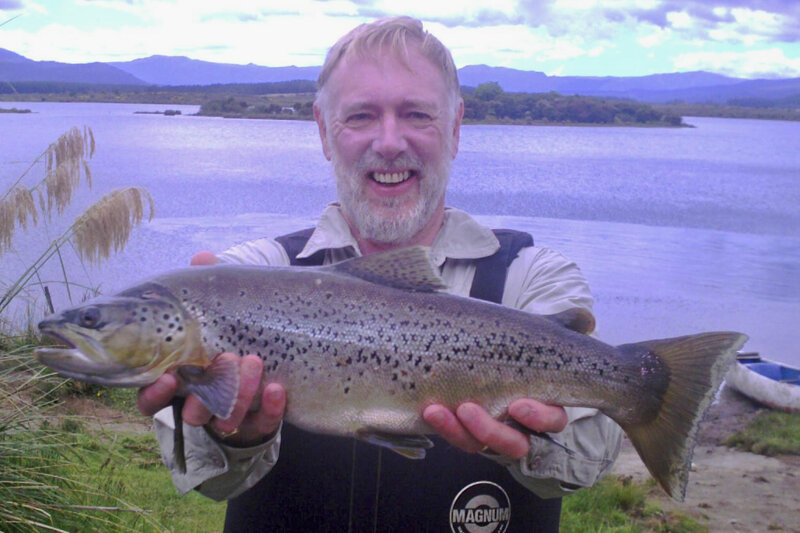 In New Zealand we do not normally have to pay any access fee to fish water so as long as the farmer is happy we can fish most places for free except for the required license and gear costs. If anyone is interested in further information I can be emailed at maurice.fishing@yahoo.co.nz ("fishing" is not my surname). On an earlier trip this year float tubing to the big O, I came back with venison..but that is another story!! I am willing to assist anyone coming over at a negotiable rate, other than the one day trip.